If you need cataract surgery, you may want to consider premium presbyopia-correcting intraocular lenses (IOLs) that potentially can restore a full range of vision without eyeglasses. The three main types of presbyopia-correcting IOLs are multifocal IOLs, accommodating IOLs and extended depth of focus IOLs. These premium lens implants offer significant advantages over conventional monofocal IOLs by enabling clear vision at multiple distances for people with presbyopia. correction to aid in your reading vision). Presbyopia-correcting lenses can expand your range of clear vision, allowing you to see well at all distances with reduced need for eyeglasses. Why would I want a presbyopia-correcting IOL for cataract surgery? Most people who undergo cataract removal want to be less dependent on eyeglasses after surgery. Presbyopia-correcting IOLs offer this advantage, including decreasing the need for computer glasses and reading glasses. Are presbyopia-correcting IOLs a lot more expensive? How much extra do I have to pay? Presbyopia-correcting IOLs are more expensive because they cost more for companies to develop and produce, and because advanced surgical skills often are required. Also, extra care must be taken with these lenses to make sure you receive the exact right prescription for your eyes. This may mean additional and advanced testing may be required prior to surgery. Costs vary depending on the specific IOL used, but you can expect to pay approximately $2,000 to $2,500 extra per eye. Otherwise, basic costs of cataract surgery are covered by Medicare and most other health insurance policies. Why won't Medicare or health insurance cover the full cost of presbyopia-correcting IOLs? Presbyopia-correcting IOLs are not considered medically necessary by insurance companies. Medicare and private health insurance typically will pay only the cost of a basic monofocal intraocular lens and accompanying cataract surgery. Use of a more expensive, presbyopia-correcting IOL is considered an elective luxury — like LASIK and PRK, which also typically are not covered by health insurance. Can my local cataract surgeon perform presbyopia-correcting surgery? 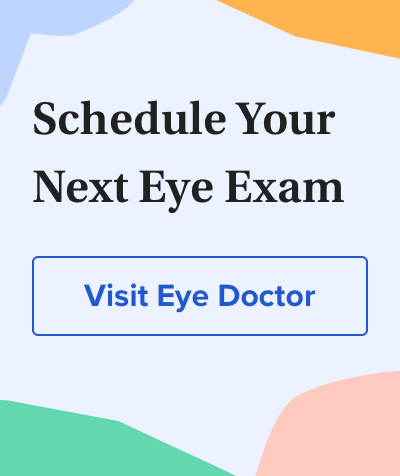 Yes, but you need to make sure that your cataract surgeon has experience with the specific presbyopia-correcting IOL chosen for the procedure. Studies have shown that surgeon experience is a key factor in successful outcomes, particularly in terms of whether you will need to wear eyeglasses following cataract surgery. What problems are associated with presbyopia-correcting IOLs? In many cases, these problems may become less noticeable with time without treatment. In other cases, a follow-up refractive procedure such as LASIK or PRK may be needed to improve vision and decrease symptoms. In a small minority of cases, it could be necessary for your cataract surgeon to remove the presbyopia-correcting IOL and replace it with a different lens implant. Be sure to thoroughly discuss the advantages and risks associated with presbyopia-correcting IOLs with your cataract surgeon at your preoperative exam and consultation. How can I improve my chance of a successful outcome if I choose to undergo cataract surgery with a presbyopia-correcting IOL? Most cataract surgeons are highly skilled when it comes to familiar techniques associated with conventional monofocal IOLs. But if you want a good outcome with a multifocal IOL or accommodating IOL, you should make sure your surgeon is committed to presbyopia-correcting IOL technology and has undergone appropriate training in performing cataract surgery with these premium intraocular lenses.